What are the 2018 Chevrolet Cruze Trim Levels? The L base trim includes a 60/40 split-folding rear seat, Bluetooth connectivity, and a 7” touchscreen. The LS adds a front center armrest and upgraded floor mats. Choose the LT for LED daytime running lights and a six-speaker audio system. The Premier trim adds an upgraded rear suspension and a luxurious interior lighting package. In addition, you can equip many Cruze trim levels with your choice of an automatic or manual transmission or even a diesel engine. The higher trim levels, the more luxurious the interior, too. Explore the trim levels of the exciting new Cruze today at Chevrolet Buick GMC of Fairbanks. The well-equipped base trim of the Cruze keep you connected with Apple CarPlay and Android Auto, as well as a rearview camera. Integrating many of the features of the L trim, the LS can be had with a six-speed manual transmission or a six-speed automatic. The LT incorporates convenience systems like cruise control, heated exterior mirrors, a rear center armrest, and a cargo cover. As the most luxurious Cruze model, the Premier trim includes illuminated vanity mirrors, chrome exterior trim, and 17-inch wheels. It’s rare for a sedan to be offered with a diesel engine, and you’ll receive stronger fuel economy and massive torque if you choose it. Visit or showroom near Fort Wainwright to find out which engine best suits your needs. With four distinct trims to choose from, the 2018 Chevrolet Cruze outclasses the 2018 Ford Focus and the 2018 Subaru Impreza; thus, the Cruze is worth experiencing in person. 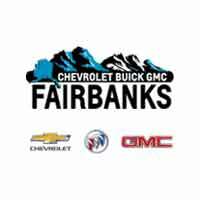 Schedule a test drive today at Chevrolet Buick GMC of Fairbanks, or stop by our showroom at to learn about our competitive financing options today!